The Ultimate Guide to UX for CMO's. Free instant download. 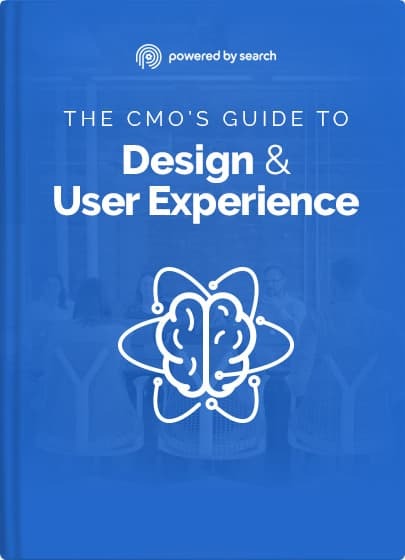 Instantly Download "The CMO's Guide To Design and User Experience"
Why people are leaving your website without buying. How much you should we budget for design and UX. How changing 3 words on a landing page can unlock millions of dollars. That getting attribution metrics correct can 'make' or 'break' a UX test. What are the best enterprise tools that will speed up CRO testing. InboundCon 2015 presentation from Chris Stolz, Senior Analytics Implementation Consultant at Ensighten. Watch this webinar to learn website and marketing optimization tips. By Cara Harshman, InboundCon 2016.